Whatever you conclude from this blog post, there is no getting away from the fact that as a nation we are fatter than we were 50 years ago. Up until the 1950’s, obesity was not an issue but by the 1980’s 1 in 10 Britons was obese. Now around a quarter of the UK population are obese, having put on an average of 3 stone each since the 1960’s. We are quickly catching up with our fellow Americans where 1 in 3 are obese. By accident I came across the second episode of the BBC2 TV programme ‘The Men Who Made Us Fat’ last night. Presenter Jacques Peretti explored the meterioc rise in obesity and the possible causes. He explored the notion that an American called David Wallerstein, a Chicago cinema boss who dreamed up mega boxes of popcorn and took the idea to a certain ‘I’m Loving it’ fast-food chain, was largely resonsible. But is it that simple? Partly … but, it’s really about how our eating habits have changed and evolved in all sorts of ways over a relatively short period of time. Pre fast-food, people didn’t really eat on the go, but fast-food changed that. Cheap food, quickly available meant that more families could have a treat and eat outside of their homes. People started to snack, something that wasn’t done in the 1950’s, and snacking in between meals piles on extra calories. Plus, our portions, perhaps because of the super-size fast-food portion culture, are much bigger than they were before. Various studies were alluded to during the programme, for example where one group of people were given one portion size and another group a larger portion size at lunch time, in the belief that if people ate more in the middle of the day they would eat less in the evenings. This proved untrue resulting in the group with the bigger portions eating around 400 calories more each day than the group with smaller portions. Rats were given increased portions of their food in another study, but it was only when they were given sugary foods that they ate more and put on weight. Hidden ingredients, it would seem are having an addictive effect. Which leads neatly on to corn syrup. Corn syrup, which is much cheaper than sugar, was introduced into the American diet and used in everything from ketchup to burger buns to processed meats and pizza toppings. And as we all know, what starts out in America, always ends up in the UK. Corn syrup is also much sweeter than sugar and what’s worse is that scientists discovered that the fructose in the corn syrup was very efficient at metabolising into fat as well as playing havoc with the appetite! In broad terms this type of sweetener has shown to be addictive, leaving people wanting more. Jacques Peretti interviewed a myriad of spokes people from the food industry who tried to tell us that eating sugar is all part of a healthy and balanced diet! Wasn’t it said several years ago that cigarettes weren’t bad for you? But most of all it is the huge rise in fizzy drinks which today is the single biggest source of calories in America. In fast-food restaurants and cinemas, fizzy drinks cups grew and grew to the point where it can be like drinking from a bucket. And these bucket sized fizzy drinks can contain as many as 800 calories!!!!! The programme looked at studies that were undertaken to measure the supposed inactivity of children, blamed for the rise in childhood obesity and diabetes. But studies concluded that children were just as active as they were 50 years ago, but it was their portion sizes and snacking on the way to and from school that was the main reason why they were putting on weight. It was argued that supermarkets don’t help – all the main supermarkets run BOGOF offers (buy one get one free) and almost always these are for biscuits, crisps, fizzy drinks and other snacks. We buy the BOGOF offer thinking it will last us longer, but in fact many people simply eat through the food in a shorter period of time just because it’s there. So are the supermarkets also to blame? And what about the advertisers? In recent years confectionery and snack manufacturers have been stopped from running adverts on TV during children’s programmes. Is this a step in the right direction or is it time to further legislate such manufacturers in the same way the cigarette companies are legislated? Whatever you think, the fact we are getting fatter and we are putting our health at risk. We are increasing our chances of getting heart disease, diabetes and many other illnesses. Plus we are putting undue pressure on an already over-burdend National Health Service. 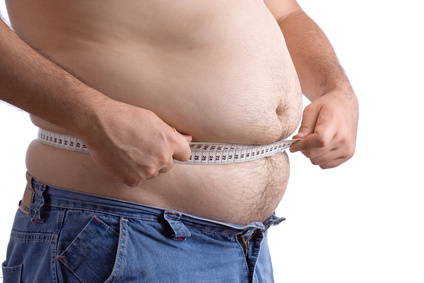 What do you think can be done to stop and reverse our obesity culture? Is it too late? What impact do you think legislation could have on public health? How easy would it be to legislate when legistlation would hit the supermarkets’ and advertisers’ profits? Let me know what you think …..
What we need in the UK is for healthy food prices to be greatly reduced, so that healthy foods are cheaper than unhealthy foods. To fund this, raise the price of unhealthy foods – slap a ‘fat tax’ on them to make them less affordable. It’s just a matter of using funds raised from the ‘fat tax’ to subsidise the price of real food, and all food prices should be regulated and uniform – it’s not that complicated really. Debs – thanks for your comments. I guess this is something the Government could consider – afterall they heavily tax cigarettes and alcohol so perhaps unhealthy foods are the next step. On the flip side regarding a more healthy population, whilst healthier people may live longer if they are healthy they may stay out of hospital so swings and roundabouts …. Congratulations on losing weight. It’s hard isn’t it, even when eating healthily temptation is always there. I know it is for me!! I think the main economic challenge is finding enough food to feed an ever-expanding population. That, and the government’s (and NHS’s) reliance on kickbacks and taxation from the pharmaceutical industry, which treats symptoms rather than causes of dis-ease. Evidence of this is already being seen in the gov’s proposals to restrict our access to homeopathic medicine (see http://www.avaaz.org/en/petition/Your_Access_to_Homoeopathy_is_Under_Threat/ for details). As long as there is a massive pharmaceutical industry controlling governments and doctors by paying big commissions, it is not in the gov’s or the health industry’s interests for people to be healthy or be able to cure themselves (for example, by growing their own medicinal plants, or by simply eating what they should). Unfortunately, people are so taken in by the ‘miracles’ they think the pharmaceutical industry performs, it’s only ever going to be an enlightened minority that takes their health into their own hands, living longer, healthier and happier lives. And again, that ol’ devil called money raises its ugly head – if you can dish up ready made meals and oven chips for 50p a portion, if you’re poor you’ll do this instead of feeding yourself and your family on foods that are healthy but considerably more expensive. I would like to see more done to help poor people grow their own veg, even in inner cities – there should be more allotments, grants to help people buy equipment and seeds, etc. This could help a lot of poor people spend less on processed food and enjoy an affordable healthy diet. It will never happen as long as this government is in power, though. You’ve done really well losing 16lbs. I’ve managed only 8lbs in the same time frame, but like you I’m doing it by healthier eating AND cutting down portion sizes. I also have an added knee problem – osteoarthritis – and my doctor has said that losing weight will help with my knee pain. I would like to lose another 14lbs and then I’ll be within a healthy weight range and I know I will feel much better. You’ve raised some fantastic ideas – it would be great to see the Government doing more to help people stay fit, healthy and lose weight. Have you thought about being part of our talkhealth bloggers network and taking a blog spot? Congrats on the 8lbs, every pound counts! Yes, smaller portion sizes too, I’m finding I’m reducing the amount I’m eating without even trying – I just don’t feel as if I need giant portions any more, so it’s all good! Hi Debs – I think my colleague Cara has dropped you an email about the blogging. Would love to have a fellow dieter/healthy eater blogger on board to keep me company. Oh, and lost another pound – so 9lbs in total and counting! !